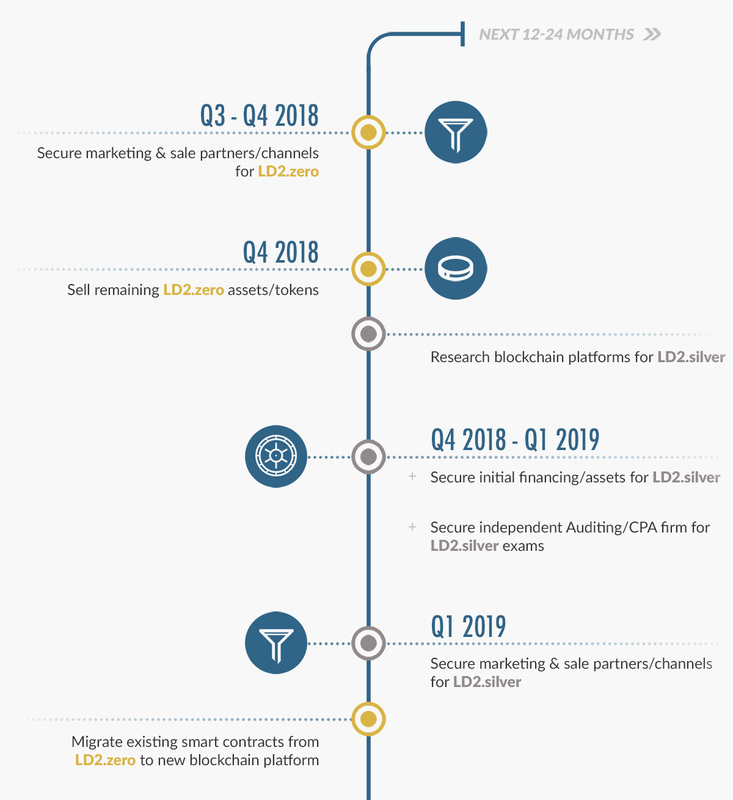 The LD2 ecosystem is being developed over a series of asset-backed cryptocurrencies, each with their own issuances. 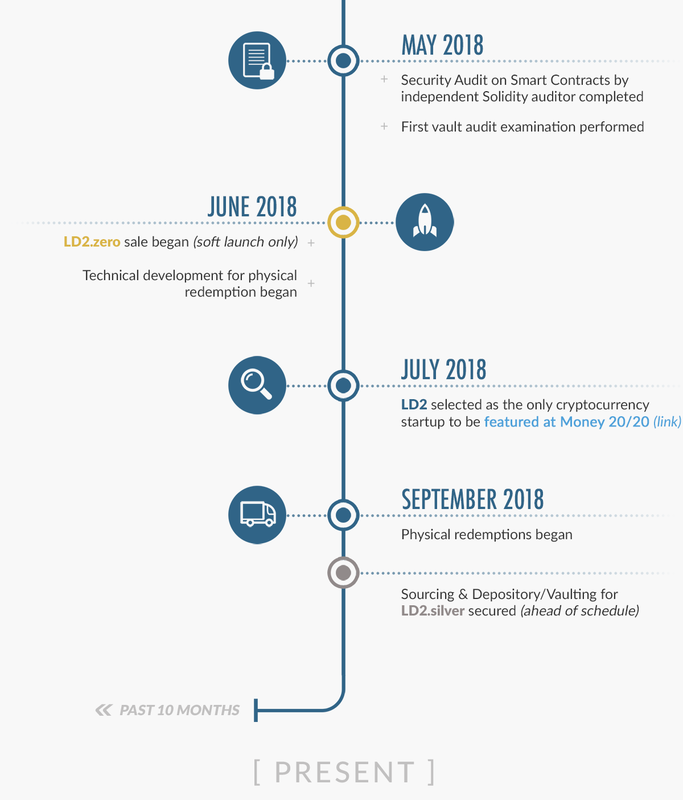 Below is a timeline of our progress to date, as well as our plan to roll out the rest of the ecosystem in the coming months. READY TO CONNECT? JOIN OUR LIST. 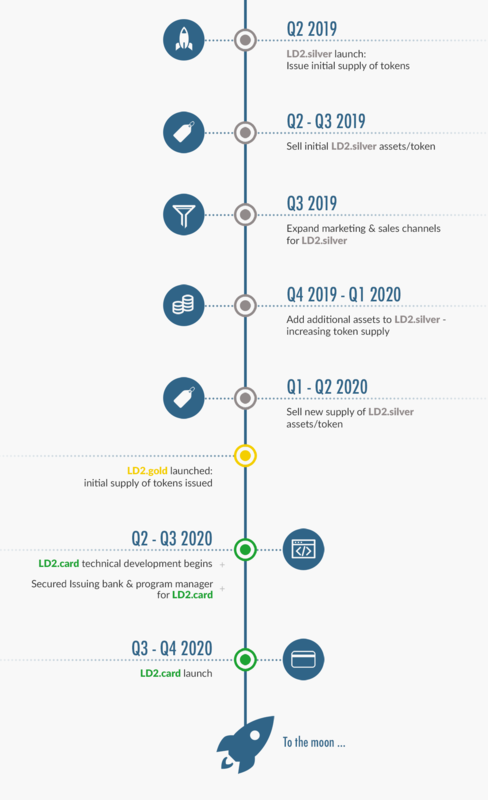 If you would like to be added to the LD2.zero wait list, leave your email address and we’ll let you know if a spot opens up! 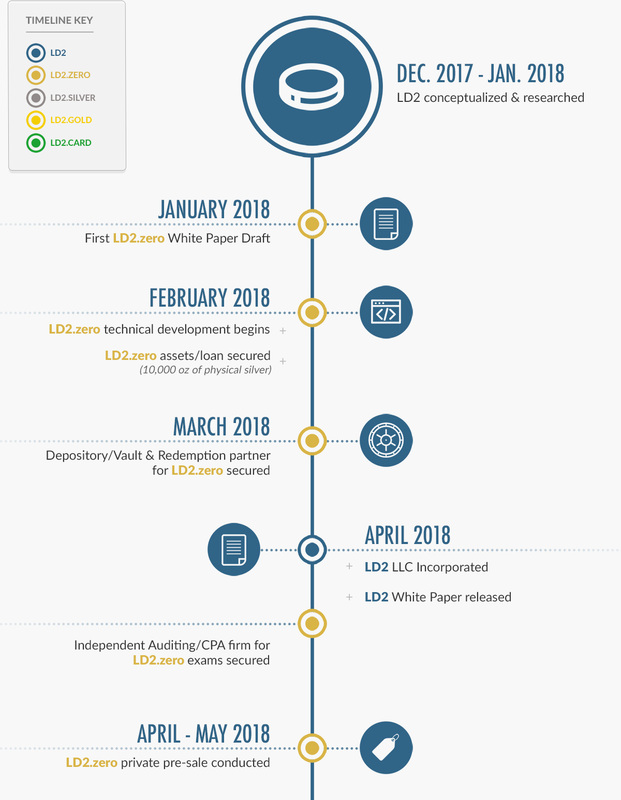 By joining our pre-launch waiting list, you’ll be among the first to know what’s happening, and you’ll get special access to LD2 issuance opportunities.